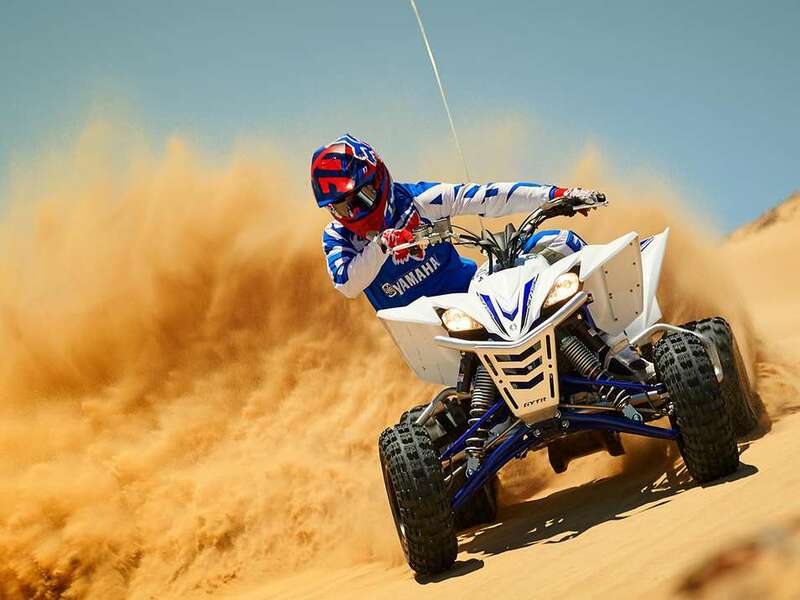 YFZ450R’s sharp-handling chassis and ultra-responsive engine have made it today's number one racing ATV. 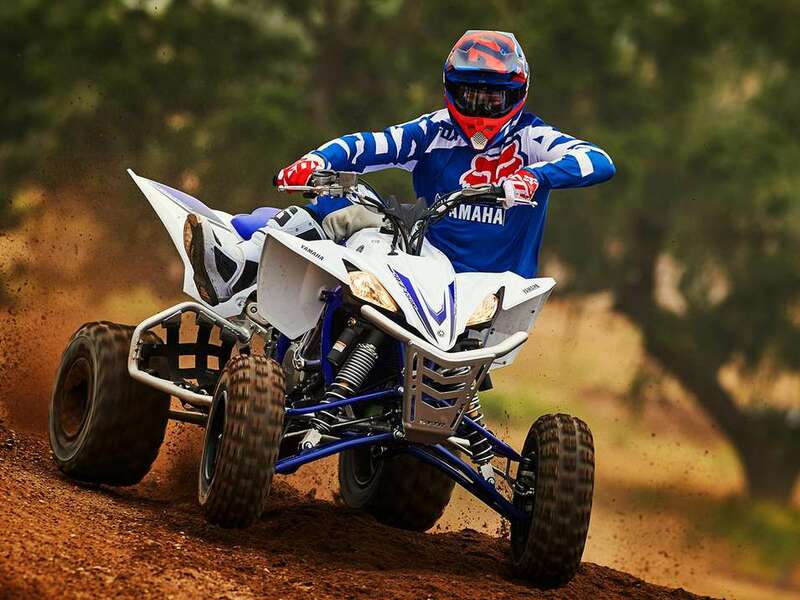 A race-bred assist and slipper clutch gives more precise control over corner entry speed for quicker lap times - while the uprated engine delivers superfast throttle response and hard-hitting high rpm power for holeshot-winning performance. Sharp-designed bodywork gives the rider space to shift bodyweight during cornering or hard acceleration. And the light shocks make for super sharp handling. *Images are shown for reference only, product specifications and data are subject to change without notice. The front frame is as narrow as possible at the A-arm mounting points which reduces changes in camber as the suspension travels through its full range of motion. The front KYB® shocks have Kashima™ coating for smooth operation. 249mm of wheel travel means this racer is up to even the most challenging tracks. 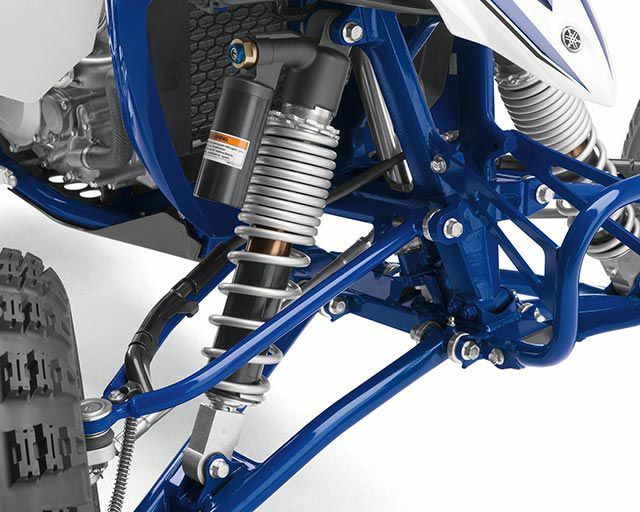 The rear swingarm has 279mm of travel for the toughest tracks. Bodywork is designed for great ergonomics and rider comfort, with more room to hang off in the corners, and the seat shape is padded in just the right places to improve lap times. Body panels come off easily without tools for service; there's no need to remove the battery or other components to take the fenders off. 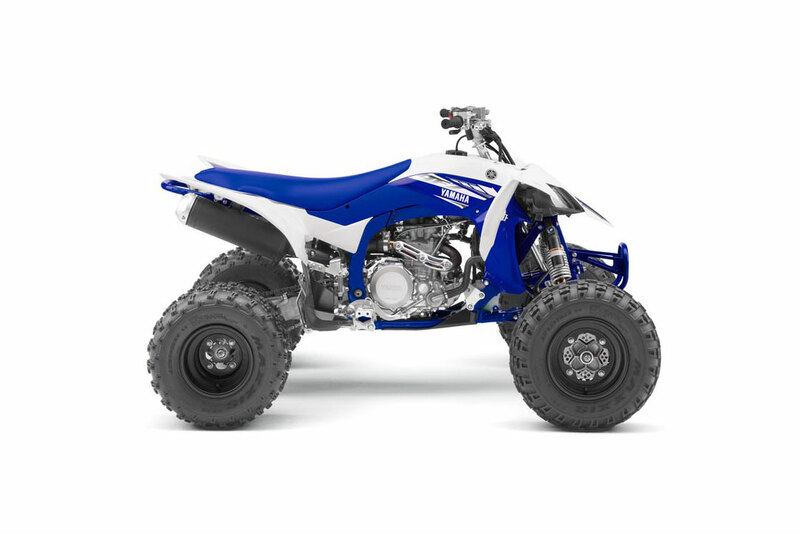 The YFZ450R is the most technologically advanced sport ATV on the market today. 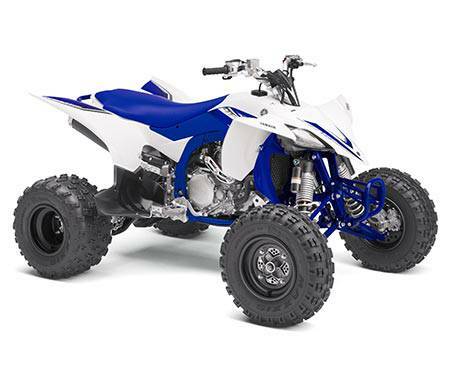 It combines a high-tech, quick-revving, titanium-valved, 449cc fuel-injected engine with a lightweight, professional-caliber cast aluminum/steel chassis. The power and chassis combination makes for a championship-winning machine time and time again. Large diameter, tapered handlebar reduces vibration and are mounted on 4-way clamps for exceptional adjustability. The two sets of holes in the handlebar crown and the eccentric clamps allow a rider to choose the standard setting, 10mm or 20mm forward, or 10mm back. Foot pegs are a generous 66mm wide, something riders will appreciate every time they want to get up on the pegs. The 449cc engine uses titanium five-valve cylinder head technology designed to deliver abundant power in the mid-range to top end, with more "hit" feeling right off idle. The higher compression ratio further improves overall engine performance. 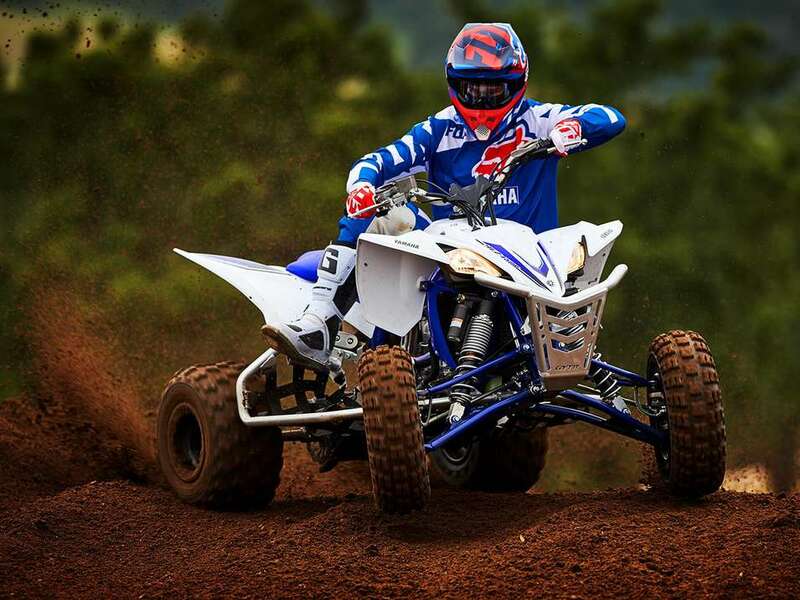 Wheels are set motocross-spec wide, near the maximum allowable 50 inches, for great cornering speed. 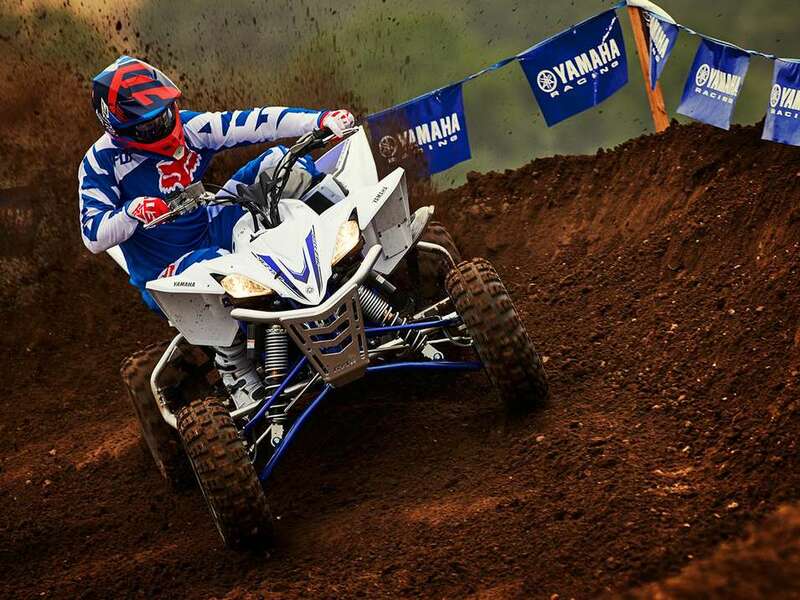 Maxxis® tires help provide excellent handling and control. At 20 inches in the rear and 21 inches in the front, they provide better ground clearance than the competition. 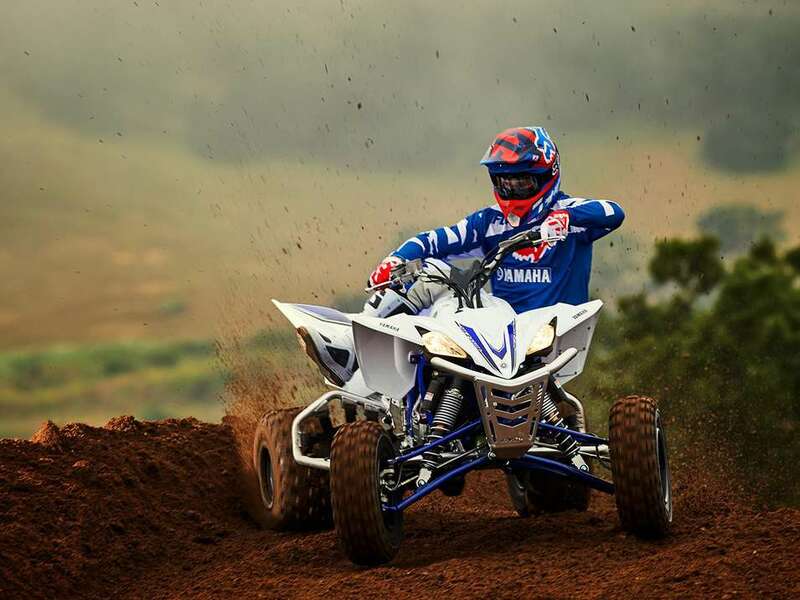 The YFZ450R is motocross ready. The weldless frame is designed from lightweight aluminium, with a tension-steel bottom frame that lets the engine sit lower for excellent mass centralization. Suspension components and settings reduce weight while providing light, sharp handling and rider comfort. An assist-and-slipper clutch reduces clutch lever effort for less fatigue while at the same time increasing clutch plate pressure for positive engagement. This clutch system also reduces engine braking effect, which allows faster cornering, particularly when downshifting.